When I first became a teacher, I was excited to begin sharing the love of reading with my students. I grew up loving to read and couldn't wait to open up the children's literary book club pick that my Dad had on monthly order for me. The time I spent with books transformed my life and sparked my imagination. I wanted to create a similar experience for my students, but I found that it was sometimes a challenge due to their home life circumstances. In the end, though, it was well worth the effort. Fostering the love of reading in your class may take a little work, but there are plenty of resources available to support you in this effort. 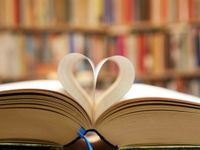 Here are five suggestions that can help you get started with leading the "love for reading" charge. Read-aloud time was one of the favorite things in my class. My students loved the chance to sit together on the carpet or at their desks and listen to their teacher read. It was one of the best times of the day for me. I loved to read in different voices and "ham it up," depending on the book we were reading. It gave my students a chance to see me in a different light and connect with me in a down-to-earth way. Don't neglect this opportunity to bring reading alive in the classroom. Remember that it's OK to read fave books many times during the year, and to include chapter books and poetry as well. If reading aloud is not your thing, seek out colleagues, administrators, parents and web friends who can support you. Skype an Author is also a great way to build excitement around the read-aloud time. When was the last time you stepped into your local library to check out the haps? When was the last time you did this with your class? It's true that many school libraries have been shut down, but why not consider planning a library field trip? It's an amazing opportunity to get books into the hands of your kids -- for free! Get colleagues, parents and school admin to support you. Your local librarian can be an excellent resource, so be sure to tap him or her for support. While you're there, don't forget to sign everyone up for a library card! Did you know that research says we should have at least 1,200 books in our classroom libraries to support our students' literacy? Do you have a classroom library? If not, I urge you to develop one. To share the love of reading with our students, we need to have a variety of books that are easily accessible for them to read. How do we accomplish this feat? By enlisting the support of parents, friends and family who will make a commitment to support your goal of developing and sustaining a classroom library. Ask them to donate books or sponsor your class with resources that can be used to purchase books. Also, be sure to collaborate with colleagues on creative ways to fund your libraries. The idea of a book club can be so exciting for our kids. Many students will benefit from the fun interaction that a book club can provide. Book talks with friends makes the idea of reading that much more enjoyable. The whole social nature of book clubs can be a very positive activity for kids who may still feel that reading is boring. For a resource on how to get a book club rolling, check out Elizabeth's blog post about how she engages her students in reading. Writing stories can be overwhelming for kids. At the beginning, let's make this easy and fun. Try the idea of adapting a current storyline of a favorite book (Brown Bear, Brown Bear comes to mind) and having students turn that into "their" story. Early grades especially can benefit from this strategy to support a student's writing until they are ready to write (with your guidance) on their own. Consider integrating apps, such as StoryBird and FlipSnack, that allow for a collaborative writing experience. Read with Me: My Book List: Create a Pinterest board with your classroom. What Should I Read Next? : Type in your favorite book, and this website will list 20 others similar to it. Ten Ways to Cultivate a Love of Reading in Students: My fellow Edutopia blogger Elena Aguilar provides more great tips. The five tips I've shared today are probably not new to you, but they are a way to help you stay on course with nurturing a love of reading in your classroom. Do you have suggestions of your own? I'd love to have you share them in the comments.